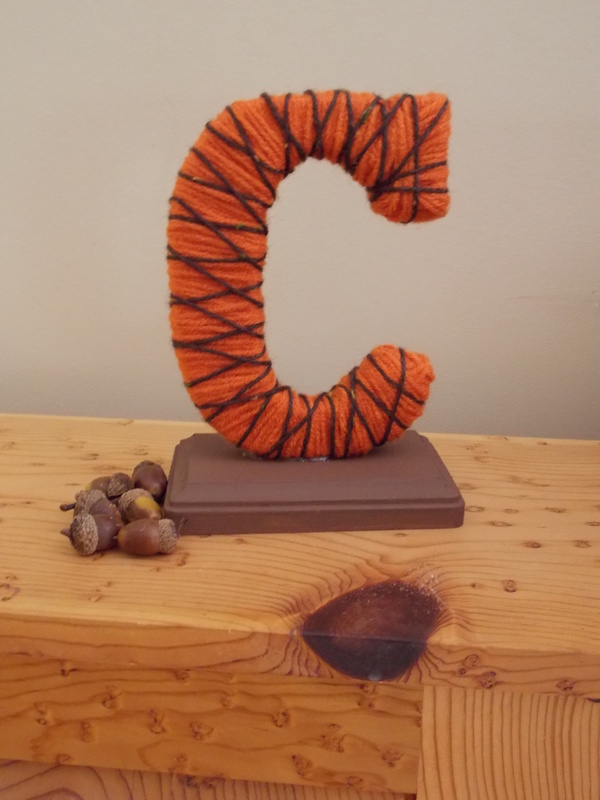 This is a simple little idea for updating your fall decor in a more personalized way. 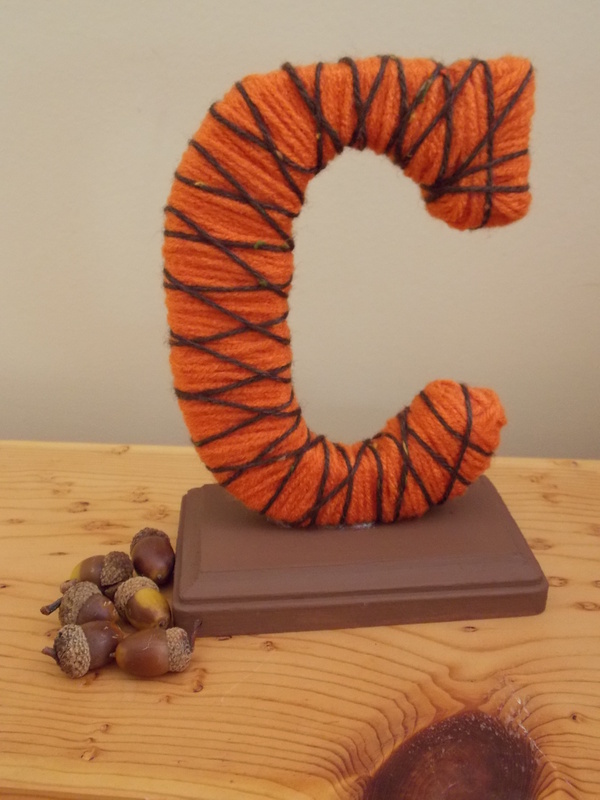 A monogram letter, wrapped up in some yummy fall-colored yarn. Or, if fall colors aren’t your cup of tea, you can do the same idea using whatever colored yarn you’d like. To make this, I first painted my little wooden plaque a rich brown using some basic Folk Art acrylic paint. It needed several coats to cover everything really well. 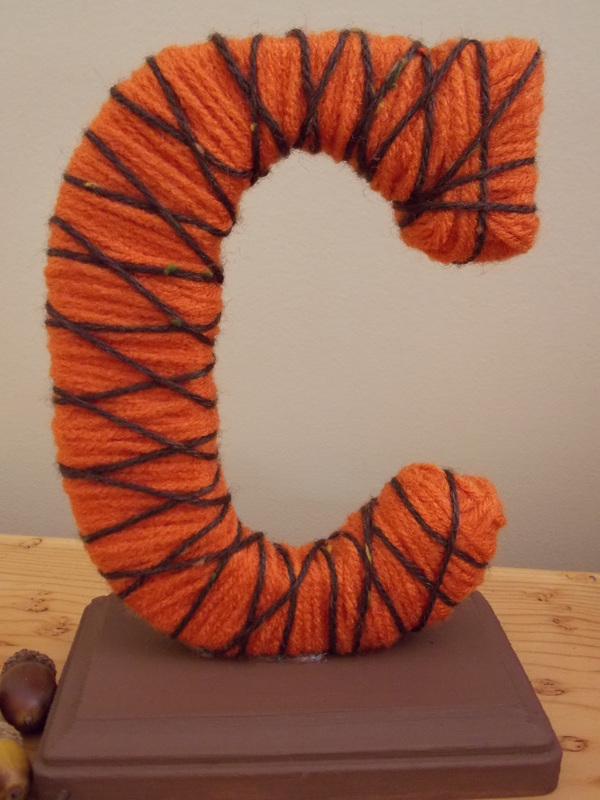 As this dried, I grabbed my orange yarn (seen also in this wreath project!) and started wrapping the letter. I have to admit that the two ends got just a little wonky and were hard to completely wrap without getting thick with yarn. 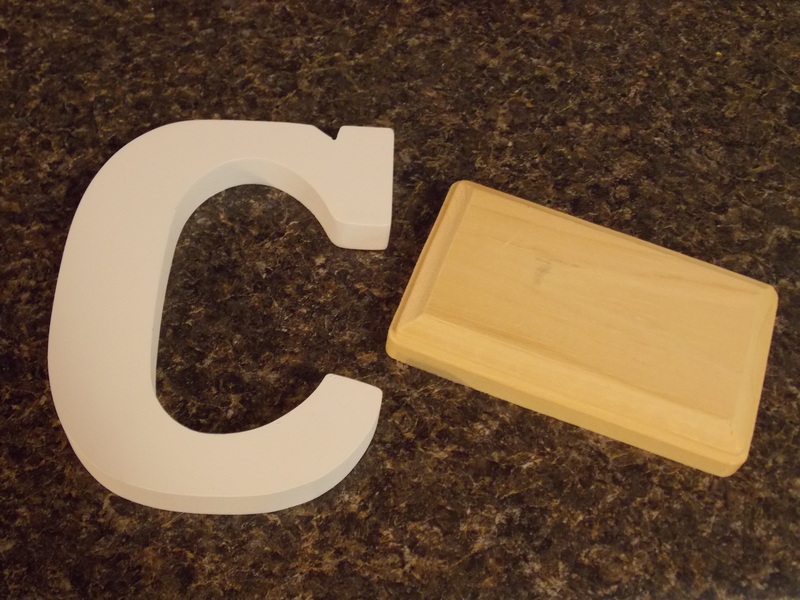 I was originally planning to just stick with a plain orange letter, but decided to add some zest with the dark brown. With my dark brown yarn, I wrapped everything one way at an angle, then reversed direction and did the same thing going the other way. You can tuck in the ends at the back or add a dab of hot glue to hold in place. Hot glue the bottom flat side to the wooden plaque. Done! Throw in some acorns or pretty leaves alongside and you now have a fresh, seasonal decoration perfect for a mantel, bookshelf, or wherever you want a touch of fall. Awesome, I’m loving the colors! Thanks for sharing at The Fun In Functional! Love the fall colors! Thanks so much for sharing at Mom On Timeout!